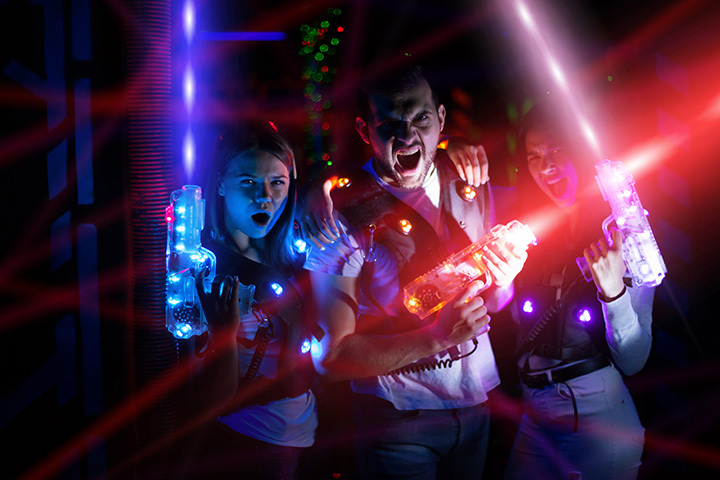 Laser Quest, the world's leader in the laser tag industry, is privately owned and operated by Versent Corporation ULC, with the corporate office based in Mississauga, Ontario, Canada. We employ over 850 people across North America. The first Laser Quest entertainment Centre in North America opened in 1993, and there are currently 55 locations operating in Canada and the United States. Laser Quest is a family entertainment venue combining the classic games of hide-and-seek and tag with a high tech twist. Our multi-level arenas have specialty lighting, swirling fog and energetic music to add to the excitement for up to 32 or more players in each game.